The burdock plant is one that certainly stands out amongst others. A member of the thistle family, it grows easily on a variety of different terrains, its large leaves making it easily spotted. At the top of the shrub, there are clusters of round, purple, spiny, bulbs which are notorious for catching on the clothing of passerby. Though they may seem like a pesky plant, many people harvest the roots and leaves of the burdock and utilize them to make herbal teas. Burdock tea has been used as an herbal remedy and soothing tonic since the Middle Ages and beyond. It is commonly used today in traditional Chinese medicine, and in savory cuisine throughout Europe and especially Japan. However, in tea form it can be sipped for either recreational or medicinal reasons. In oils or tinctures, its healing properties are said to help burn victims, and some believe that it may even help prevent hair loss, due to the fatty acids and other nutrients present in its root oil extract. Burdock tea works as an efficient blood purifier and can help detoxify as well as cleanse the blood of any impurities that may have built up. When ingested, burdock tea can lower blood sugar to a mild degree, also known as a hypoglycemic effect. However, those who are diabetic should be sure to check with their healthcare practitioner, especially if their blood sugar needs to be tightly regulated, so as to avoid any conflict with current medications. Other health benefits that have been associated with burdock tea include the soothing effect it holds on the stomach. Herbalists suggest drinking this tea after meals to aid digestion, particularly if you have any gastrointestinal difficulties. It also helps to stimulate appetite and keep the intestinal tract cleansed and flushed. Burdock acts as a diuretic, flushing urine and corresponding waste products out of the body this way. As part of a detoxification program, burdock may help keep you regular and fully cleansed, while also ensuring that you manage to keep a healthy appetite. Another important benefit is this tea’s ability to reduce liver damage from microbes or bacteria, and help in the ease of various kidney ailments. Aside from this, it can also help those that have any gallbladder discomforts as well. It can also help repair livers that have been damaged by the consumption of alcohol. Furthermore, it is also known to be able to assist the liver in the cleansing of the body, which is useful particularly when the body needs that added boost of health. Directions: Take one tea bag per cup of water and allow it to brew in simmering water for a period of 10 to 15 minutes. Drink one cup three times a day as needed. You can sweeten this tea with honey or with sugar as preferred. If you are pregnant, nursing, or currently prescribed to any medications, it is strongly advised to consult with your physician prior to adding this tea to your diet. Herbal remedies such as these are typically preferred since they have a gentler nature than most medications as well as a less of a chance of dealing with the unpleasant side effects of most over the counter medications. 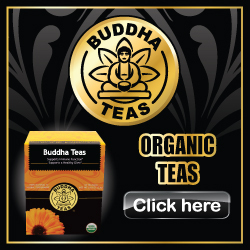 If you’ve found interest in purchasing this tea, it can usually be found at health stores locally, though alternatively it can also be easily be bought from reliable online stores like Buddha Teas. When you feel sluggish or run down, this could be a good tea to turn to, to help cleanse your system and give your body a sense of renewal. Drinking burdock tea can be a great way to ease some of the ailments that you may face or simply a good way to keep your system in working order. We hope that this article has been able to answer any lingering questions you may have regarding burdock tea. However, for any further inquiries, you are welcome to contact us for additional information and we will be happy to help.